Frames: Hand-picked fully seasoned hardwoods from managed sources. All major joints are glued, screwed and stapled for added rigidity. The frames are subjected to tough testing, well in excess of normal domestic use. Seat suspension: High tensile zig-zag sprung seat platform. Seat cushion filling: High quality foam core with a thick fibre wrap. Back cushion fillings: High quality blown fibre in a corovin case. Inclusive scatters & bolsters: 100% dequilled duck feathers in a thick cambric case. Also available in leather. Feet: Solid hardwood with a light, medium or limed finish. 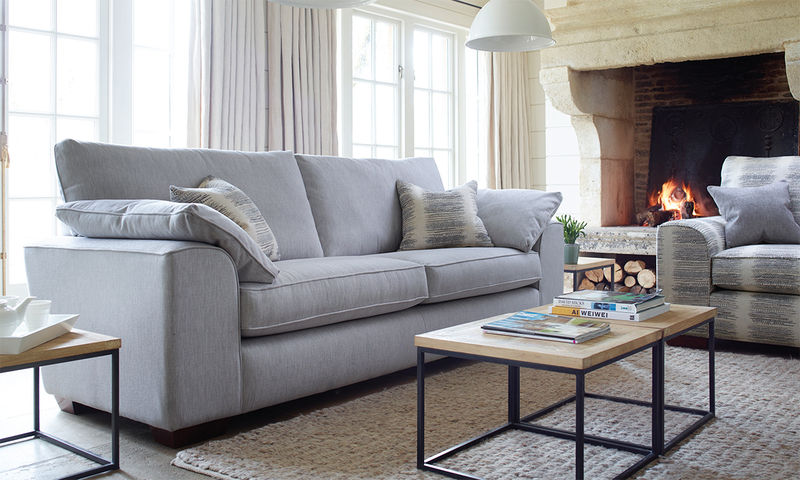 Care: Cushions must be plumped and turned regularly to retain their performance and appearance. Hand crafted with pride in the UK.